Open Streets Detroit: Rouge Park has been postponed to: Saturday, August 11, 1:00 p.m. - 5:00 p.m.
Open Streets Detroit is a free, safe and inclusive event that brings Detroiters together in the streets by providing opportunities for fitness, recreation and community building along city streets. 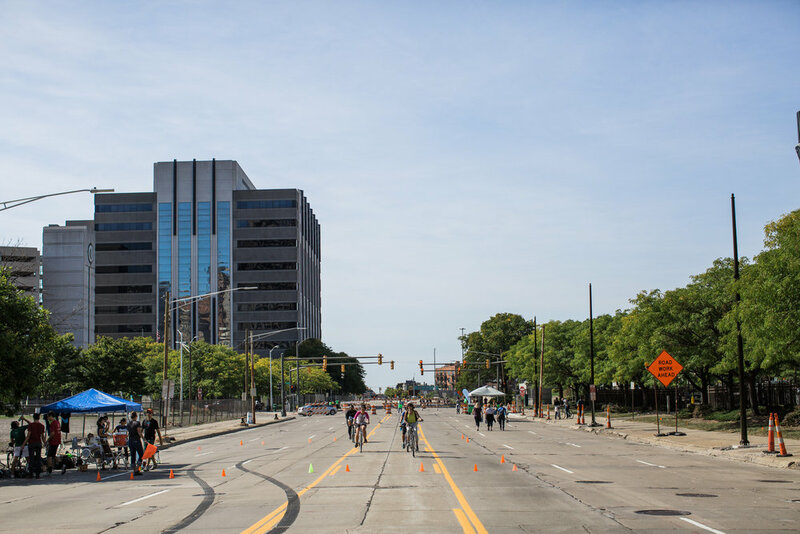 At Open Streets Detroit, you can expect to see people walking, running, biking, rollerblading, skateboarding, and playing in the streets. In addition to turning the streets over to people, Open Streets Detroit includes complementary programming at locations along the route featuring a wide variety of organizations. You can expect to see neighbors biking, skateboarding, rollerblading, and playing in the street. The event is rain or shine, so check the weather report and bring sunscreen or an umbrella. Bring comfortable shoes, because you may find yourself dancing when you least expect it.